Beautiful isn’t it? I can’t wait! 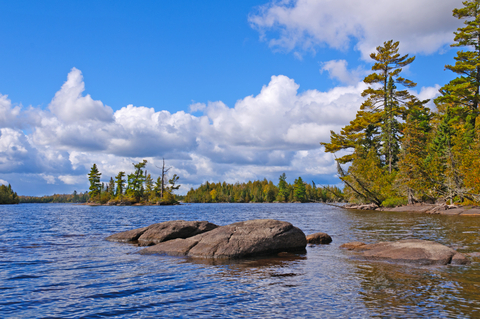 It’s another road trip, but this time to the North Woods of Minnesota, the Boundary Waters Canoe Area. My trip to the North Woods of Minnesota is last minute, and is coming right off the back of my road trip south to Myrtle Beach. So, unfortunately, no “What’s to Like About Rockford” post for the month of June, because basically, I haven’t spent much of June in Rockford. Just unpacking and repacking. By the way, what one takes to the beach is not the same as what one takes to the woods. And a post about road trips. I have a lot to say about road trips. And maybe something cool will happen on my trip North. I’m always open to cool. This entry was posted in Make It Pretty, Travel, Vacation and tagged Cool, Driving, Summer, Vacation by K. E. Blaski. Bookmark the permalink.